Every bride wants to do something spectacular at her wedding; something that will keep guests talking for weeks! If this is you, then boy we do have some amazing ideas for you. Check out these super adorable (and pretty clever) wedding ideas and maybe you’ll gather some excellent inspiration for your own wedding. Okay, does it even get any cuter than this little guy? 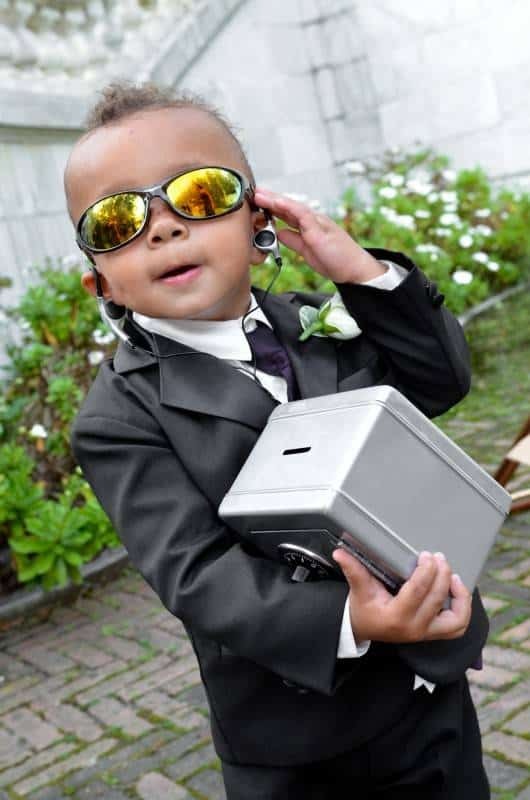 The secret service ring bearer idea is just genius, and is a fantastic way to make a less-than-patient little boy hang in there until his big moment arrives. Make your guests laugh by placing “hidden” signs around the reception area! 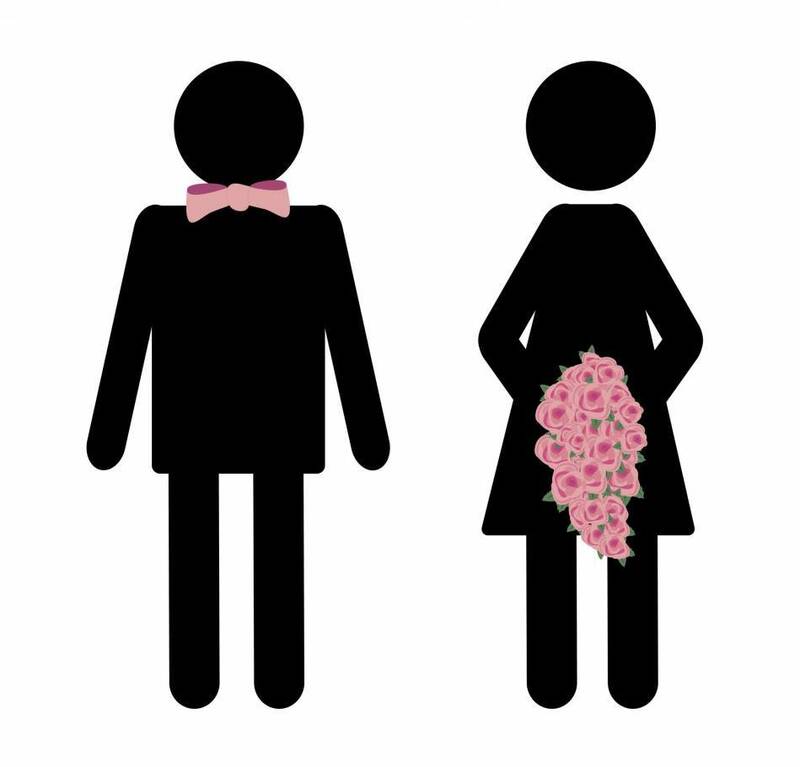 Near the dance floor, place a sign that says “trust me, you can dance – alcohol” and on the restroom doors, place custom bride and groom “people” signs with bouquets and bowties. This is a fun way to surprise your guests and give them a little giggle. How unique and adorable is this cake? Rather than the traditional stacked tier cake, this one is hanging! Of course, there are probably additional sheet cakes to serve to guests, but the cake table features this beauty as the centerpiece! 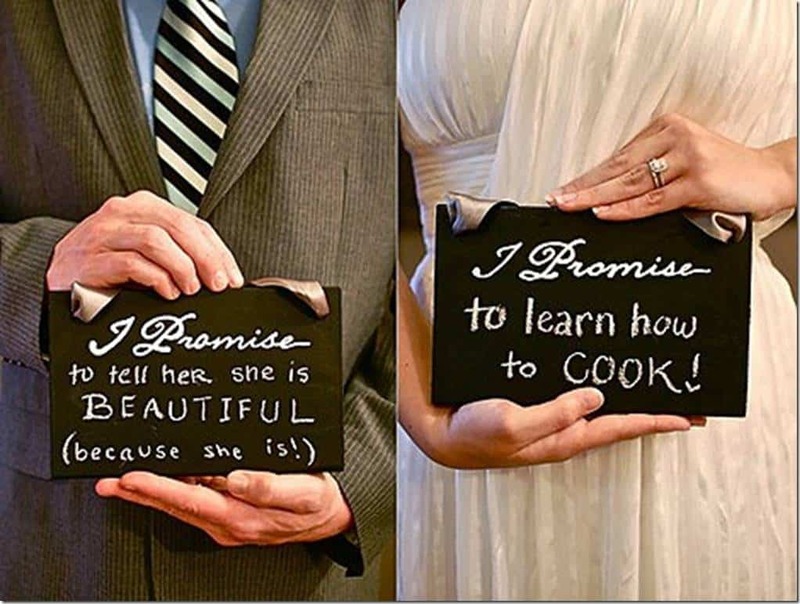 Create small signs with funny promises (the bride holding her promise for the groom and vice versa) and have your photographer capture them for a funny and memorable wedding photo! 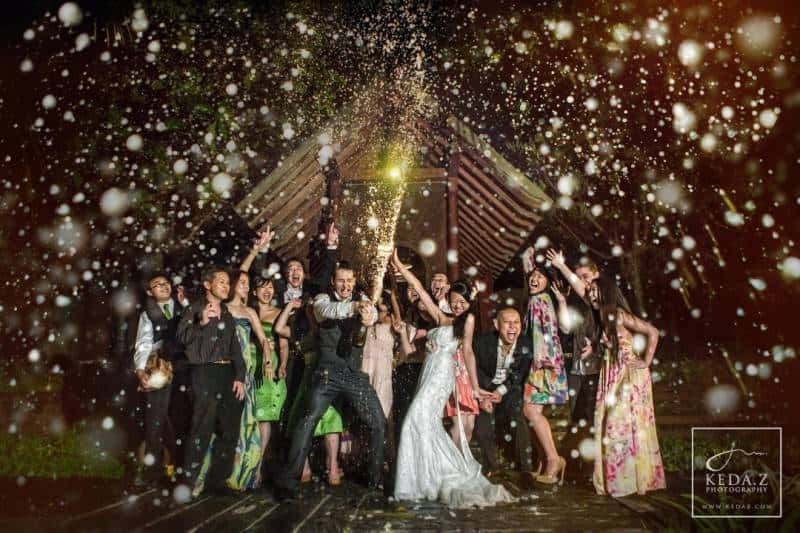 Another fantastic and fun wedding idea is to have the photographer capture the groom spraying the champagne in celebration, while the wedding party joins in! We just love this picture, and feel that it couldn’t be more festive! 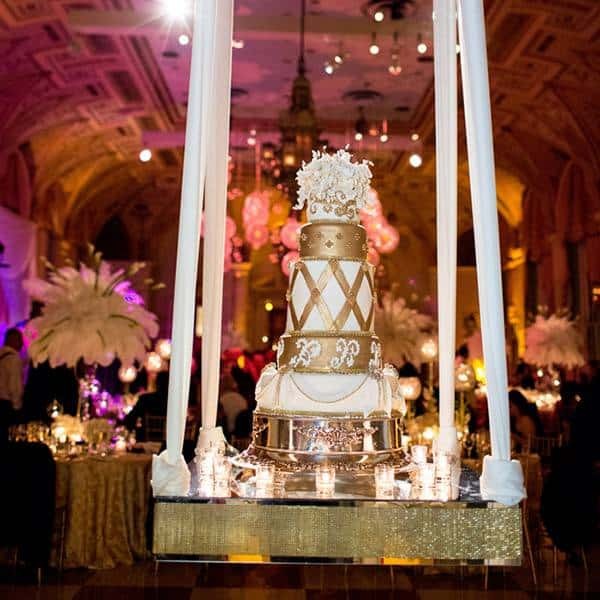 Part of the challenge of making your reception fun and exciting is making it unique and different from all the weddings people attend on a yearly basis. We hope you find these ideas as fun and unique as we did! Which is your favorite idea? Let us know in the comment section below.